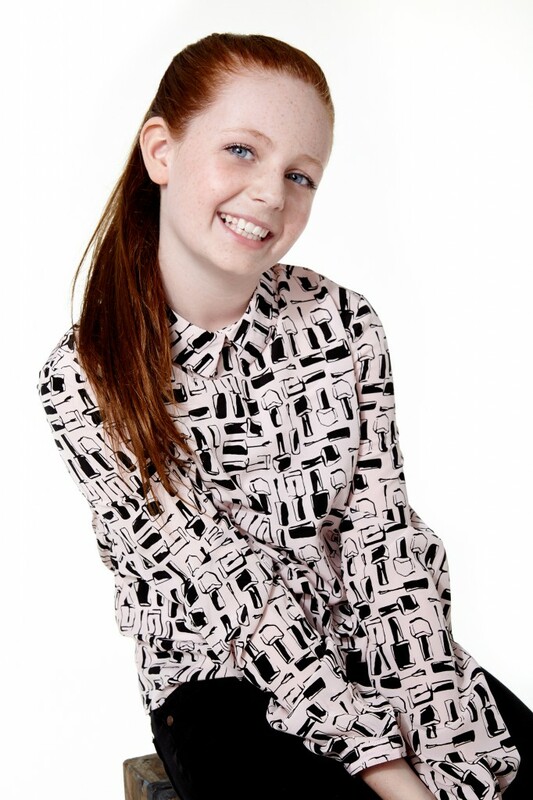 We recently got the chance to chat with young and talented actress Clare Foley. 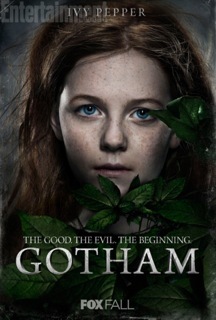 You will surely recognize her as Ivy Pepper in the recently premiered new series, “Gotham” where she plays the young lady who will one day become the famous villain known as Poison Ivy. Foley also appeared on the Netflix Original Series “Orange is the New Black” as the childhood version of main character Piper Chapman. In addition to OITNB and “Gotham,” she also co-stars alongside Julia Stiles, Octavia Spencer, Glenn Close in the upcoming, The Great Gilly Hopkins, which is set for a 2015 release. The adorable redhead has also been seen playing Dakota Fanning’s younger sister in the independent feature, Very Good Girls, also starring Elizabeth Olsen and Kiernan Shipka. Other credits of hers include Win Win, the 2012 thriller, Sinister, opposite Ethan Hawke, HBO’s Girls, Law & Order: Criminal Intent, Law & Order: SVU, amongst others. Were you a fan of Batman and Poison Ivy growing up? Yes, I have four brothers and we were always watching Batman! What was the auditioning process for the role like? Originally when I auditioned for the role, I didn’t see a full script as it was confidential, and the audition sides said the role was for a new tv show. It did say Gotham, but it was for a little girl with the fake name of Sally, so I didn’t even know it was for the future Poison Ivy! Are you drawing any inspiration from Uma Thurman’s famous portrayal of the character for your role as the young Poison Ivy? I did watch the movie a few times and I definitely admire the way she portrayed the role, but technically I am playing the character before she becomes Poison Ivy. What is your favorite Batman movie? Do you have any stories from the set of “Gotham” you can share with us? I am not allowed to talk much yet about my time on set, but I am having a blast and this cast has been so incredibly nice to me! You have also appeared in the critically acclaimed series “Orange is the New Black.” Was it awkward to appear on such a graphic show at your young age? No, because I played Piper Chapman as a child. What did your family say when you got the role as young Piper Chapman? They were excited for me, as it is such a critically acclaimed show with such a talented cast. My episode was also directed by Jody Foster which was such an amazing experience! Have you read the memoir the series is based on? If not, do you plan to? Did your learn anything from your famous co-stars: Julia Stiles, Octavia Spencer, and Glenn Close? Are there any actors you would love to work with that you haven’t had the chance yet? Why? What are your hobbies outside of acting? If you could offer advice to younger kids or teenagers trying to get into acting, what would it be? Keep working at it, don’t give up and dream big!